Hey everyone. Sorry for the light posting. I’ve been on vacation in NYC visiting my family and I didn’t prepare enough posts for the whole week. I was planning on processing some while I was here, but I’ve had some problems getting Parallels running right on my new laptop. I should have a fresh batch of new stuff up on Monday. 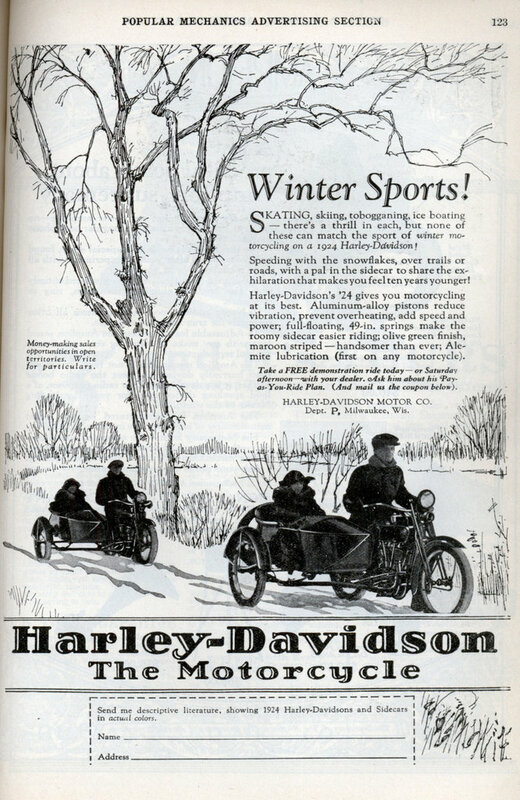 SKATING, skiing, tobogganing, ice boating â€” there’s a thrill in each, but none of these can match the sport of winter motorcycling on a 1924 Harley-Davidson! Speeding with the snowflakes, over trails or roads, with a pal in the sidecar to share the exhilaration that makes you feel ten years younger! Harley-Davidson’s ’24 gives you motorcycling at its best. Aluminum-alloy pistons reduce vibration, prevent overheating, add speed and power; full-floating, 49-in. springs make the roomy sidecar easier riding; olive green finish, maroon striped â€” handsomer than ever; Ale-mite lubrication (first on any motorcycle). Take a FREE demonstration ride todayâ€” or Saturday afternoonâ€”with your dealer. Ask him about his Pay-as-You-Ride Plan. (And mail us the coupon below). 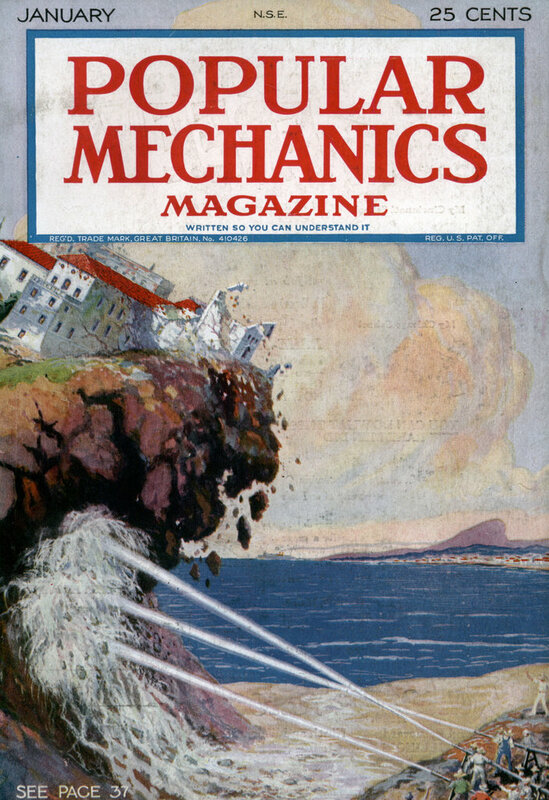 HARLEY-DAVIDSON MOTOR CO. Dept. P Milwaukee, Wis.